In our fast-paced times and overpopulated cities we never really pay attention to anyone around us. But what happens when you feel a spontaneous, completely unjustified connection with someone you cross paths with momentarily? You look at them, they look at you and then they’re gone. Infatuation takes over. So you ask yourself: Is there any way that fate can conspire for you two to meet again? 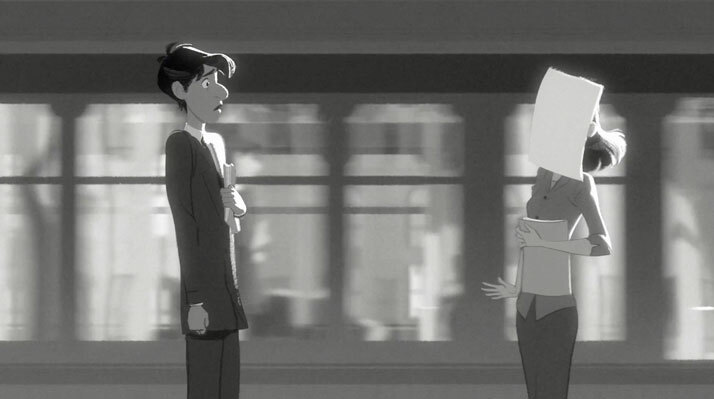 Inspired by the time he spent in New York City, commuting back and forth to work from Grand Central Station, first-time director John Kahrs takes the art of animation in an exciting new direction with 'Paperman', the winner of the 2013 Academy Award for Best Animated Short Film. 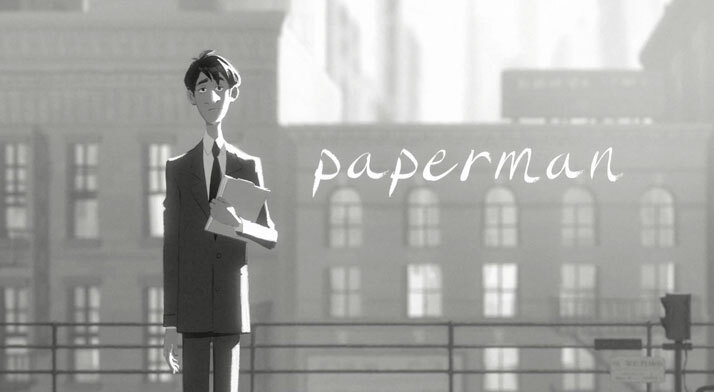 Created by a small, innovative team working at Walt Disney Animation Studios, Paperman introduces a groundbreaking technique that seamlessly merges computer-generated and hand-drawn animation techniques, thus bringing the two-dimensional into a three-dimensional world. 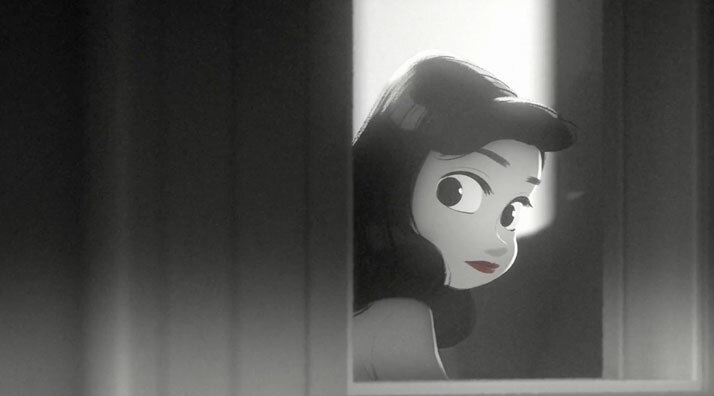 In just over 6 minutes the film manages to present a full love story complete with universally identifiable characters, obstacles set by fate, an engaging climax and a well-deserved happy ending. 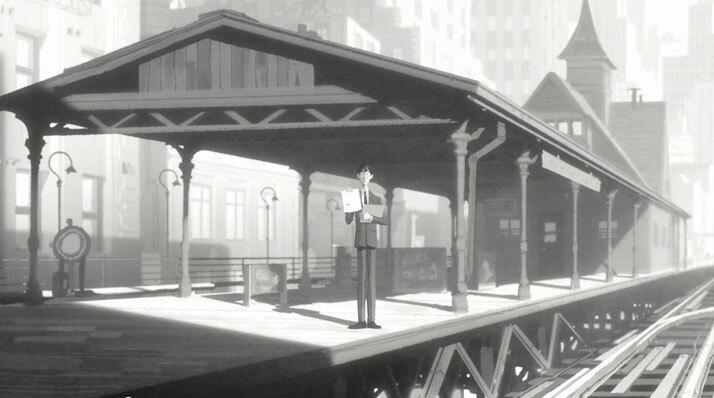 With its minimalist black-and-white style, the short follows the story of a lonely young man (George) in mid-century New York City, whose destiny takes an unexpected turn after a chance meeting with a beautiful woman (Meg) on his morning commute. 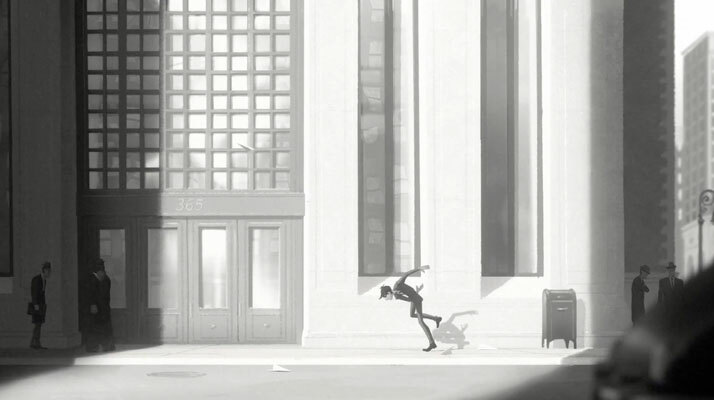 Convinced that the girl of his dreams is gone forever, he gets his second chance when he spots her in a skyscraper window across the avenue from his office. 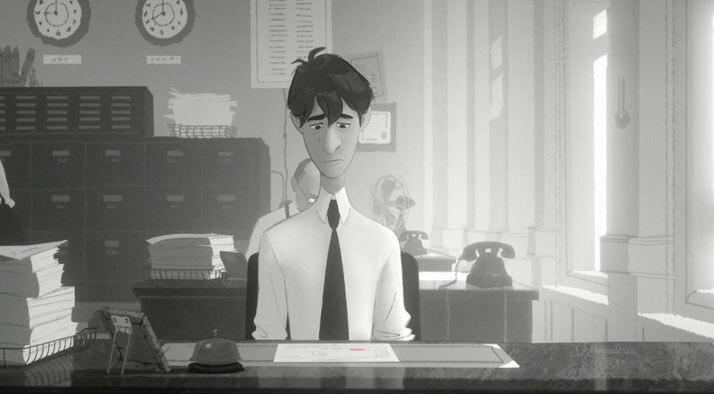 With only his heart, imagination and a stack of papers to get her attention, his efforts are no match for what fate has in store for him. 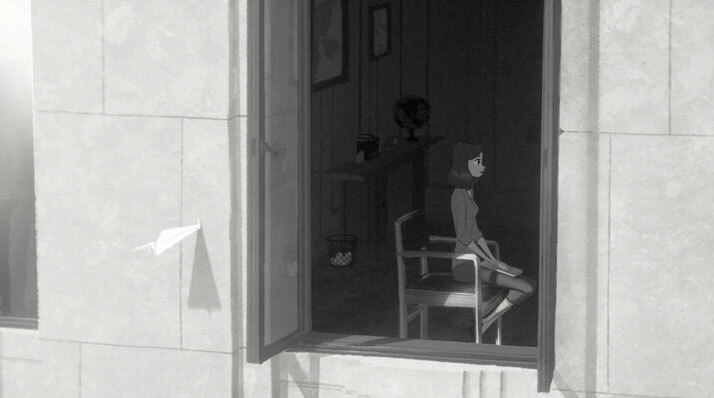 Driven by a deep attachment to the hand-drawn, John Kahrs opted to shy away from the stylized photorealism of computer-generated environments instead opting to include the original pre-production drawings in the film. 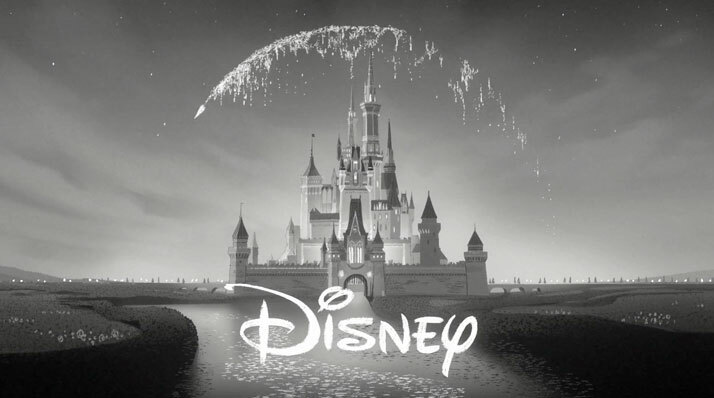 The final outcome emanates a nostalgic feel, generated by an expressive tonal scale and a touch of old-Disney charm. Kahrs manages to create a rich dimensional world that never breaks the spell of illusion, making us believe that it is really out there. 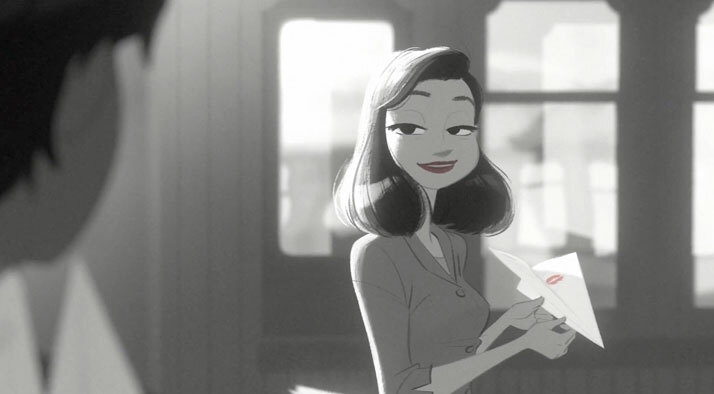 In typical Disney style, the short strikes a chord with the eternal romantics by praising the power of big hopes and dreams while reminding us to never give up. 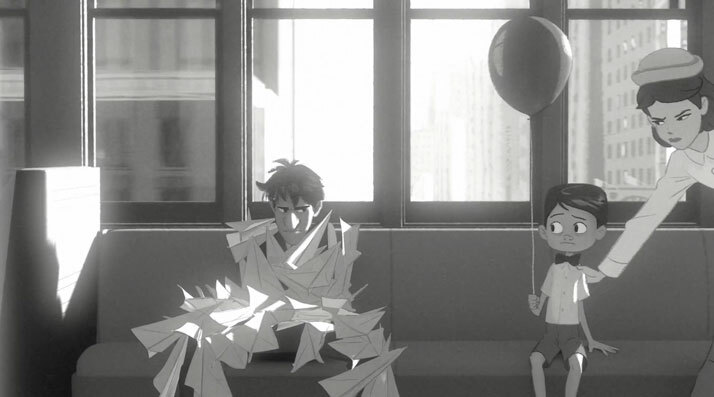 Swept away by his determination to drop everything for the object of his affection, we found ourselves rooting for the Paperman, his unbreakable spirit and his never-ending will to succeed in the chase of the impossible.After all, it’s only the power of LOVE. How many times have you actually fallen in LOVE?